The air is crisp, and the leaves will soon be showing off their colors. It’s the time of year to reminisce about some favorite fall flavors. But just what foods are in season for you and your family to enjoy? 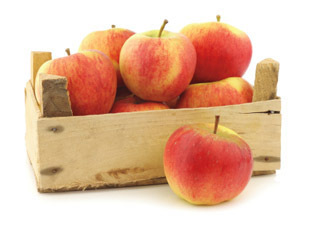 There are hundreds of varieties of apples from Washington to Granny Smith to McIntosh. Each apple has its own unique taste – sweet or tart, but which is best for eating raw and which is best for cooking? The general rule is tart for cooking, sweet for eating. When it comes to preventing cut apples from darkening, simply dip the apple slices in fruit juice – lemon, orange or pineapple will do. The fishing poles aren’t put away just yet! There are plenty of fish to be caught this time of year. It’s time to ease up on lighter seafood dishes and return to braising, roasting and crusting your seafood. Fish such as cod, halibut, mahi mahi, yellow fin tuna, tilapia, and last but certainly not least, keta salmon are all in season. 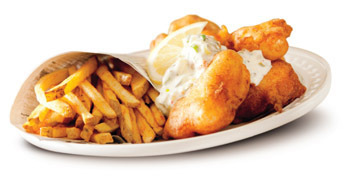 Pick up your favorite seafood item and try something new this fall. MMMMMMmmmmm chili. It’s easily one of America’s favorite meals. 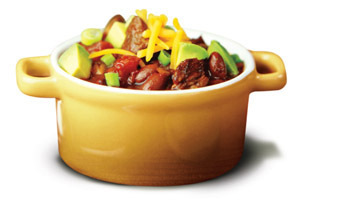 There are a wide variety of recipes you choose from, or you can be a chili maverick and make your own recipe! Regardless of how you like your chili, with beans or without, spicy or mild, nothing warms the body and soul quite like a bowl of chili.